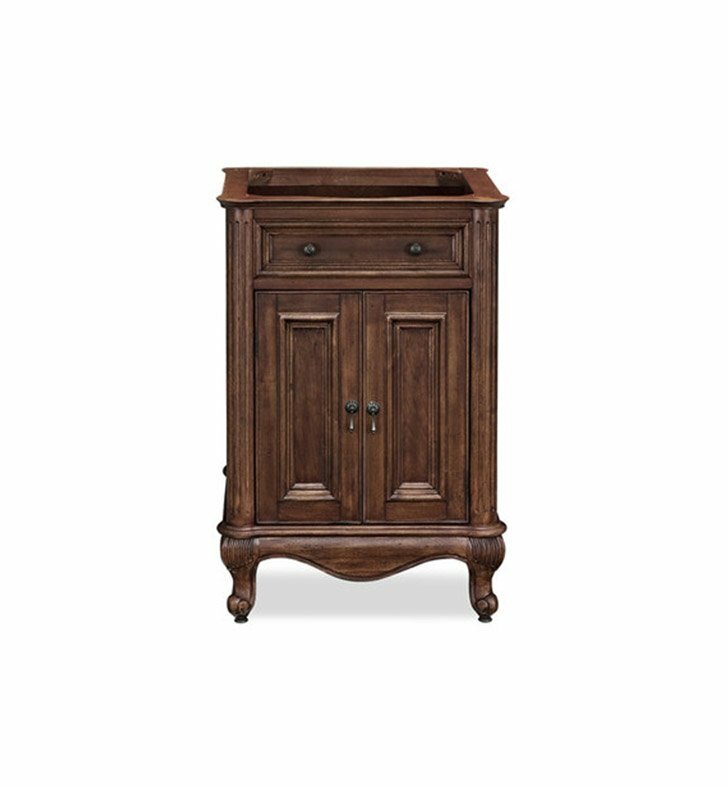 Please select a countertop to go with your purchase. 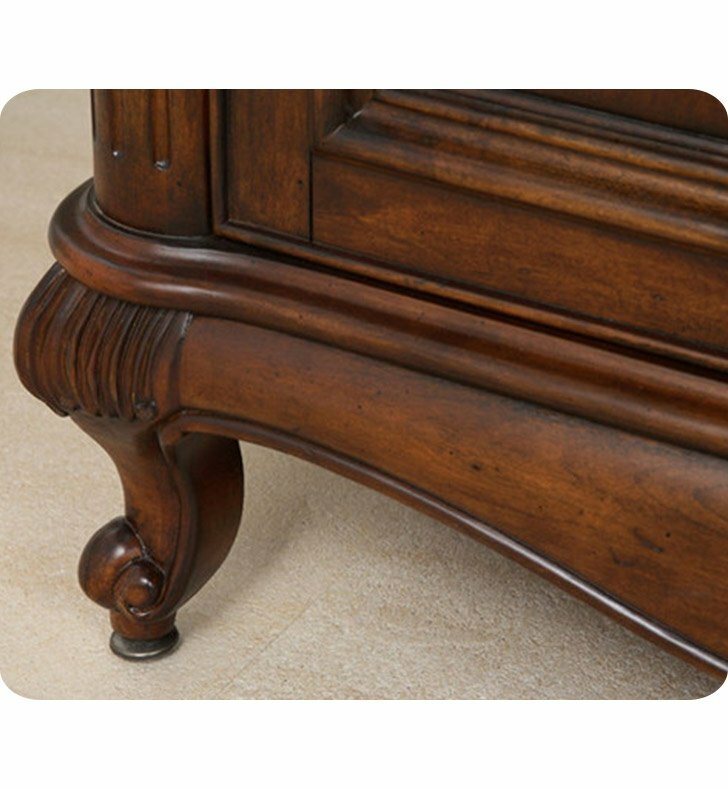 The Malago is constructed with hand carved accents and features a distressed cherry veneer. 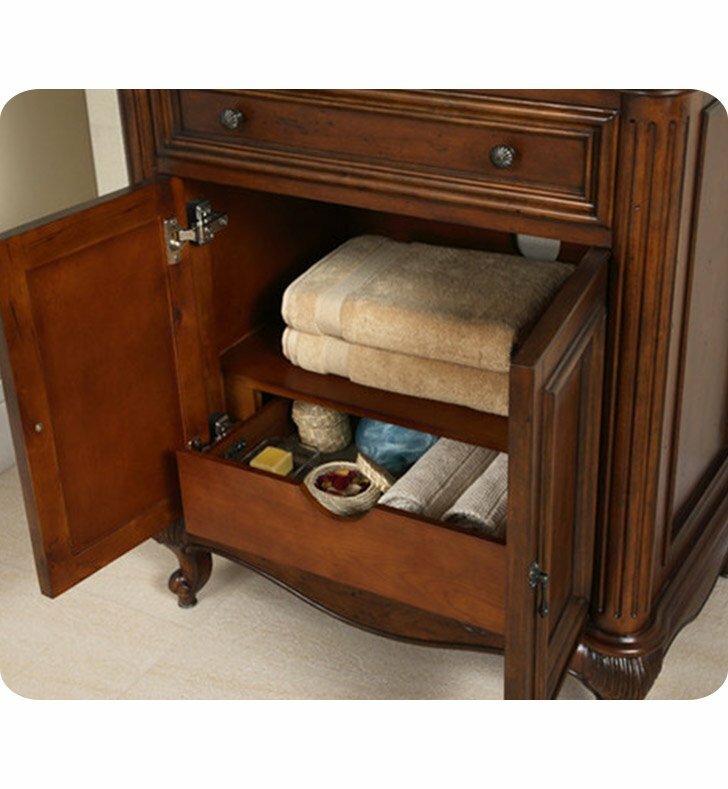 Like many of our two door traditional vanities, the interior includes a concealed drawer for smaller items and leg levelers on all legs. 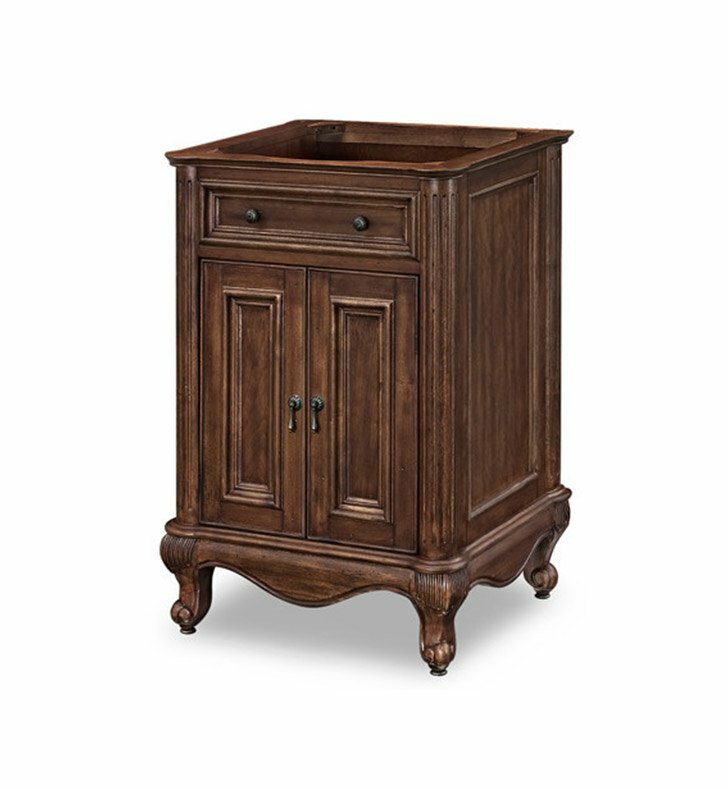 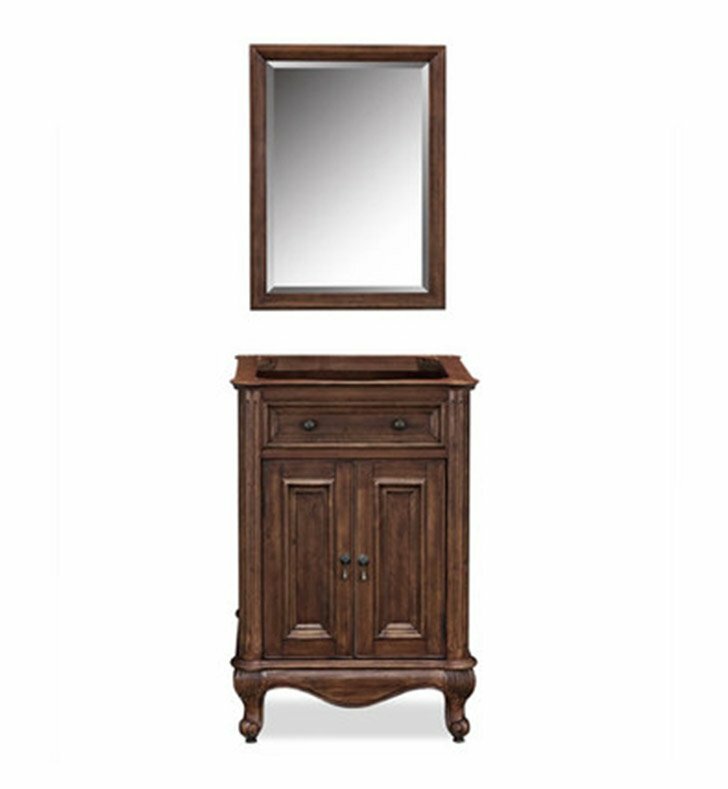 An unmistakable corner vanity completes the range and gives additional storage for those seeking a furniture grade corner vanity with a matching mirrored cabinet. 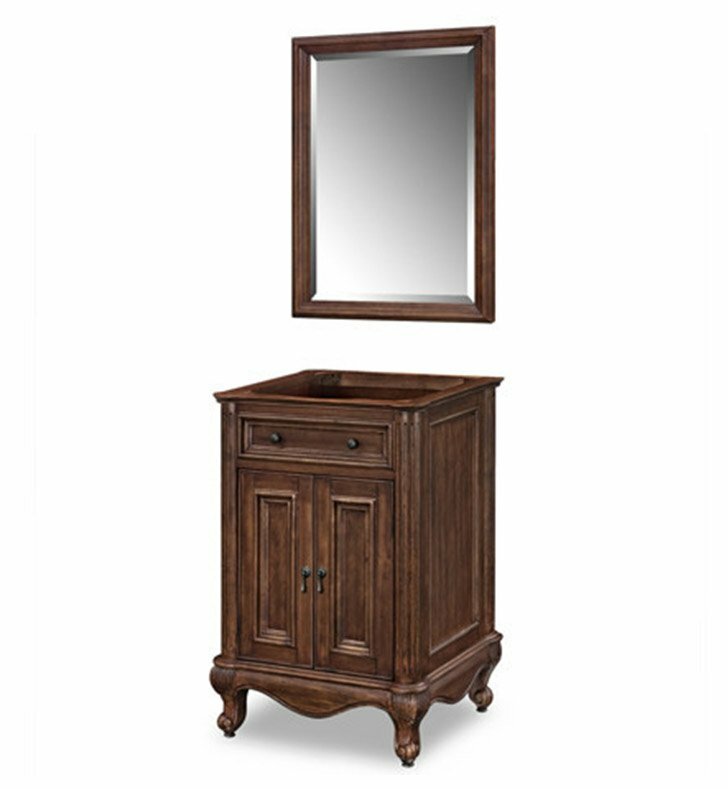 Dimensions: W 24" x D 21" x H 34"